For non-stick cookware, you really only have two choices - it's either you go for ceramic or Teflon. Some companies do try to get creative and come up with fancy names for the coatings that they use on their cookware, but this is used for marketing purposes only. 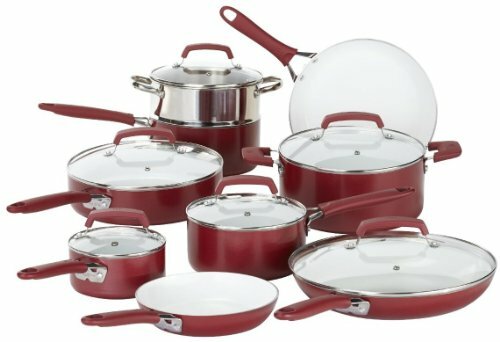 But before purchasing your choice of cookware, an overview of each type of coating is in order. Polytetrafluoroethylene (PTFE), commonly known as Teflon, is the thing that makes stuff non-stick, to put it in simpler terms. This material was discovered by Roy Plunkett in 1938 while working in the laboratories of DuPont Co. While Teflon (also PTFE's registered brand name) has been around since the late 1930s and have already found use as an industrial lubricant and as a coating in pipework and medical catheters, it is only in the 1950s that somebody by the name of Marc Gregoire took the initiative to apply it on cooking pans. Gregoire was in the habit of applying Teflon to his fishing tackles to help it move more smoothly in the water. His wife saw the potential of having this kind of coating on her cooking pans, and urged her husband to try it. The rest is history. But a lot of time had passed between the 1950s and now. Studies have shown that when used in temperatures way above the recommended, Teflon runs a risk of releasing toxic gases and chemicals into your food and the environment. In response to this issue, some brands further refined the way they apply Teflon to their pans, making it more resistant against temperature and daily wear and tear. On the other end of the cookware coating spectrum, you have ceramic. Having cookware coated with ceramic is a new invention and was only discovered in recent years. Ceramics are free of PTFE and other chemicals that are usually associated with Teflon. As such, they are considered to be safer and more environment-friendly than any other chemical-based coatings out there. But a common complaint against ceramic-coated cookware is their longevity. They don't last as long as most people would like. The non-stick properties of the ceramic eventually wears off especially if people allow oil to build up on it. So, the best thing to do with ceramic cookware is to avoid cooking anything with oil on it. Cleaning ceramic pans with a soft cloth immediately after use also helps. We've been spoiled by non-stick cookware for far too long that imagining life without them is near impossible. Ever since pans with non-stick coatings started popping up during the 1950s, consumers have been purchasing them in droves, marveling at their new found ability to fry eggs without worrying about them sticking to where they're not supposed to. This high regard for non-stick cookware continues up to this very day; in 2014, retail sales of stocks pots, pans, and skillets with non-stick coatings amounted to 1.45 billion US dollars. Your choice of cookware is very dependent on your preferences and needs. Do you want environmentally-friendly pots and pans? Then go for ceramics. As long as you take the precaution of not scrubbing it too hard then you should be golden. You can also omit oil from your everyday cooking to avoid oily layers from building up on your cookware. 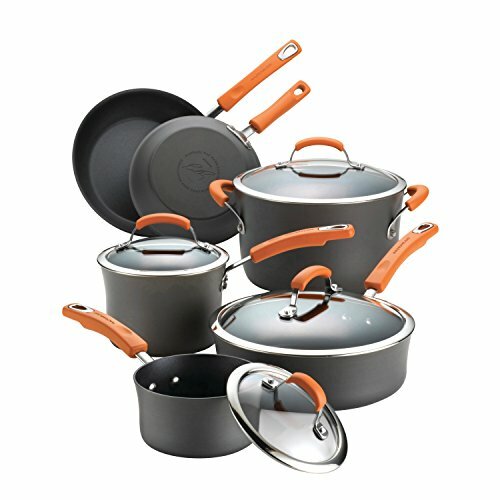 Do you want cookware that can last you for a couple of years if taken care of properly? Then go for Teflon. Did you enjoy this guide? Let us know in the comment with the nonstick coating that you prefer, ceramic or Teflon. Specifically how many years does the ceramic last? From my experience ceramic pans should be replaced within 2 years or sooner if they show signs of sticking/peeling/deep scratches. Unfortunately, ceramic pans are quite sensitive to heat and scratching. Not all brands are created equally and manufacturing inconsistencies are another uncontrollable variable that comes in to play. When in doubt, replace it!